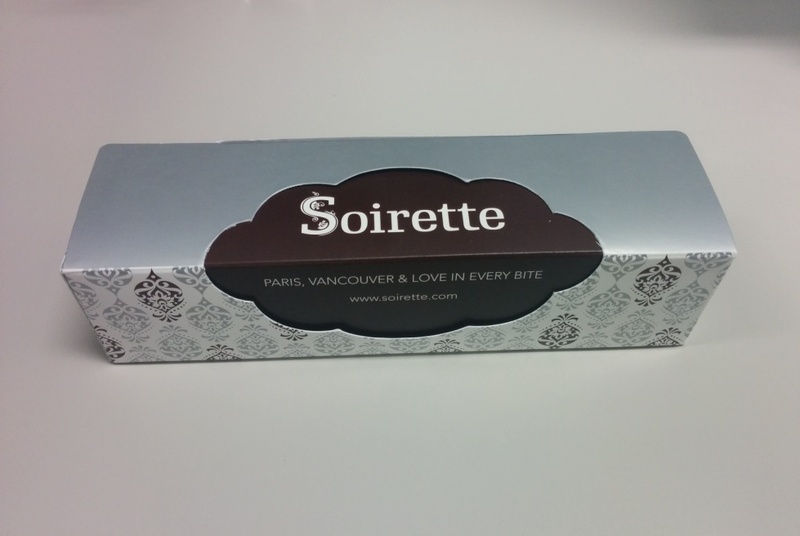 I’ve never made it to Soirette before because the location was slightly out of the way in the Coal Harbour area but I was eating at Aki Japanese Restaurant and Soirette happened to be down the block so it was the perfect opportunity to drop by. They seem to be mostly known for their macarons and they also do afternoon tea as well. I love how cute the store is! Look how fancy this box is! Too bad it sorta blends in with my grey desk. I was so excited about choosing my macarons that I forgot to take a picture of the display case… All the macarons were about the same size and had a good amount of filling. Size wise, these were probably on the larger side but not as big as Thierry! Bigger than the ones from Faubourg though? I liked that the shells were chewy and did not crack too much when I bit into them. I like chewy things (mochi anyone?) and this was good enough for me. However, I think the ones at Thierry are chewier. Flavour wise they were pretty on point to me and not too sweet or artificial. Close up of the Vancouver Fog! 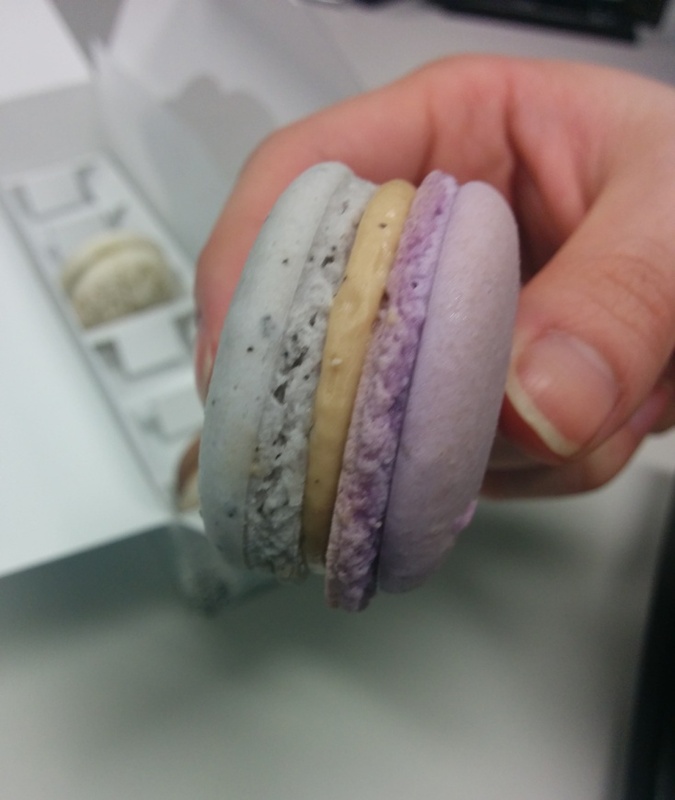 This two-tone macaron is their take on the London Fog and I like London Fog anything so automatically I thought this was good. I have a hard time picking a favourite flavour from the ones I tried since I liked them all! This is probably going to be my second favourite macaron place after Thierry. I had my first macaron there so I use them as my standard to judge everyone else. I want to try those adorable bear shaped macarons from Cafe Joie next! 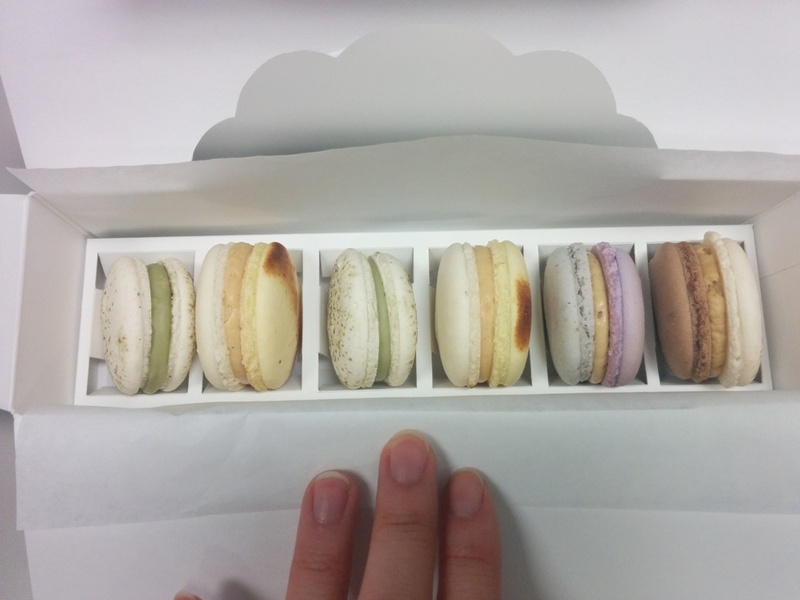 This entry was posted in Desserts and tagged desserts, London Fog, macarons, Vancouver.